The NAPOLEON Rogue SE 525 with side burner. Its time to go Rogue. Sear succulent treats and you'll know its a NAPOLEON with the iconic WAVE cooking grids for those distinctive sear marks. 525 sq. in. of main grilling area make grilling up meals for yourself or a crowd easy, especially with the integrated range side burner. The stylish and easy to maintain black porcelainized lid and double doors with integrated storage blend with your outdoor decor. Locking casters in the pedestal base mean that this grill can be moved into the thick of the action, while folding side shelves save space, allowing the Rogue SE to fit anywhere. Rogue SE models boast exclusive features including an integrated bottle opener, a high-top lid, and a sleek new control panel with ergonomic knobs. 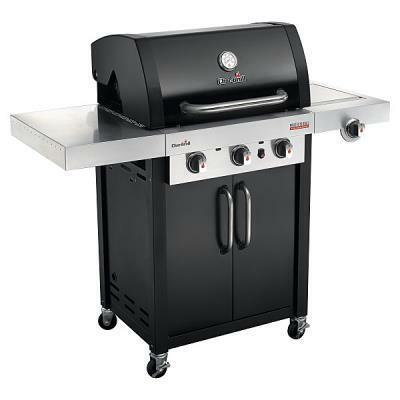 No other grill gives you such versatility with an affordable price and high-quality components. So get out there and grill different. Go Rogue. High-quality grilling at an affordable price, the Rogue® 525 Gas Grill by Napoleon is the perfect addition to any backyard. Grill different and go Rogue® with the Rogue® 525 Gas Grill. 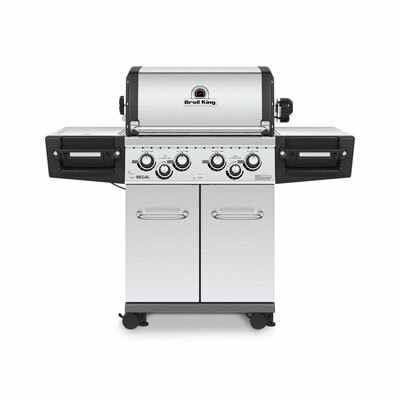 Dual level stainless steel sear plates vaporize drips, while stainless steel tube burners generate 48,000 BTUs of heat, igniting instantly with the JETFIRE ignition system. Throw a barbecue for the ages; with 660 square inches of total cooking area, you can definitely feed a crowd. The high-quality porcelainized cast iron cooking grids ensure that food has beautiful sear marks that let you know you're grilling on a Napoleon. 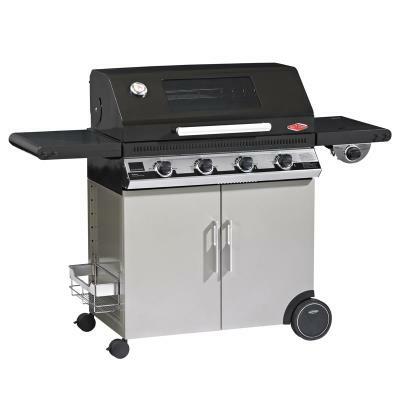 This grill is easy to maintain with porcelainized black lid and doors. Fold down the stainless steel side shelves for extra space when you need to tuck your Rogue® 525 away, its easy to move in and out of the action zone with its locking castors.